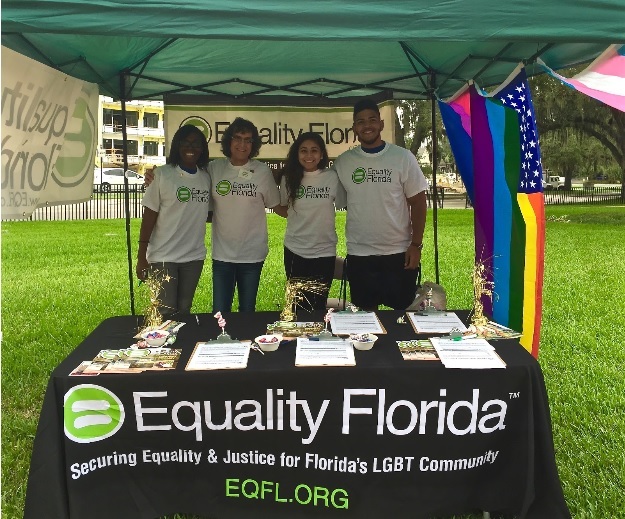 Equality Florida had a blast at Ocala Pride this past weekend! There was never a dull moment with drag shows, dance troupes, and bands performing all afternoon long. With the help of our volunteers, David and Roxanne, we were able to accomplish much more than our expected goal of 200 pledges in support of the Florida Competitive Workforce Act. We also had volunteers and patrons making calls to Representative Charlie Stone urging him to vote NO on the Pastor Protection Act. We were about to gain the support of two local reverends to making calls on our behalf to Rep. Stone! It was inspirational to hear the heartfelt stories of the community members. Many supporters shared with us how they were discriminated against in the workplace and eagerly urged others to sign a pledge. 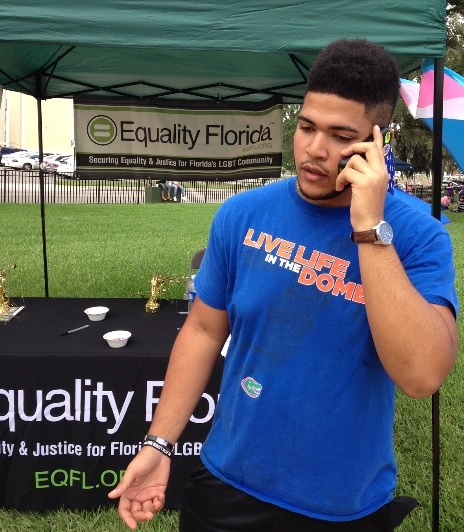 With the defeat of many negative bills, and Marriage Equality now the law of the land, many in the community feel confident that we are one step closer to passing the Florida Competitive Workforce Act. Also, with local role models such as teachers and the superintendent of the district, it is against Ocala’s School Board Policy to be discriminated based off of sexuality, sexual orientation, or gender expression. Overall it was a positive experience with people of all walks of life coming together and showing support for a cause that many assumed was already a protection they had. 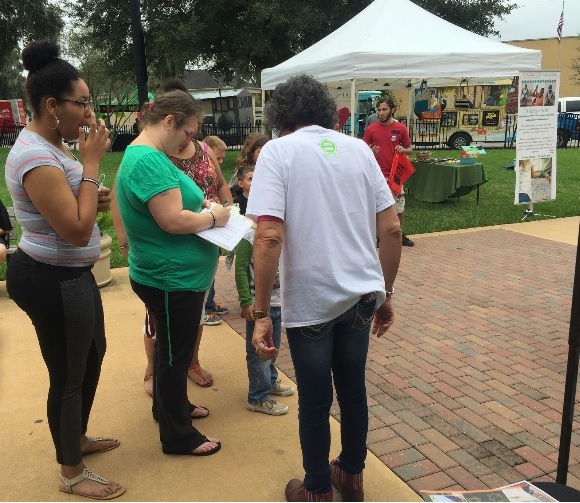 According to some of the supporters, this was one of the biggest prides Ocala has ever seen since its beginning and could not be more excited to see what next year has in store for them! !